I’m really excited for this one, guys! 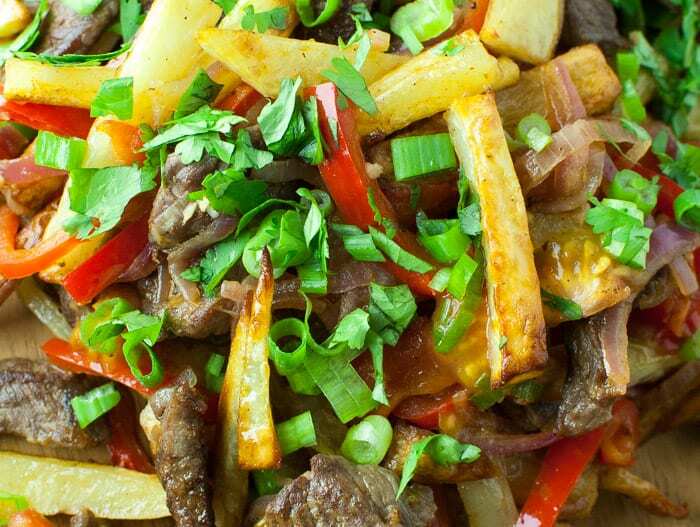 Have you ever had Lomo Saltado? You’re going to love it. But let’s keep it 100. You’re not going to make this on a weeknight after working 8 hours. If you do, you’ll be all up in my biz yelling at me “Why?! Dear God WHY?! ?” and we don’t want that. Wait! Don’t click that sad little x in the top right corner of your screen. It’s not that hard to make. 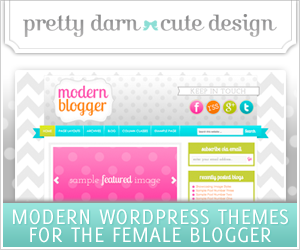 It’s just…howyousay…a labor of love. <– say that with an accent it’s more jazzy. Speaking of jazzy! I should probably save this news for another post but here’s a secret hint: I’ll be dancing IN PUBLIC soon. In. The. Street. Pray for me. Okay back to our regularly scheduled programming. 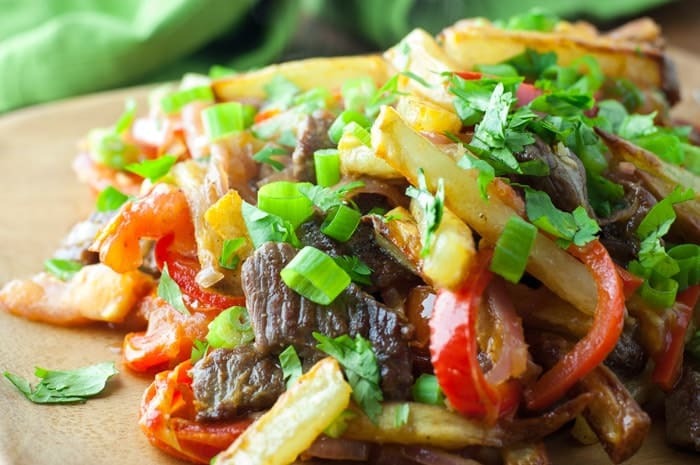 If I had an El Pollo Inka restaurant around the corner I’d be buzzing on down there right now to have them serve me up some tasty Lomo Saltado morsels. But in this part of the country, it ain’t happenin. No matter how long it takes to make this dish (and no, we’re not talking hours) I’m always happy to sit down and shove this mountain of flavor straight into my face. It’s totally worth it. Someone online mentioned that they make lomo saltado at lightening speed for weeknight meals. I think they’re big fat liars. Yeah, I said it. Liars. Because there’s chopping. And measuring. But have no fear. There are some shortcuts, which I will discuss. 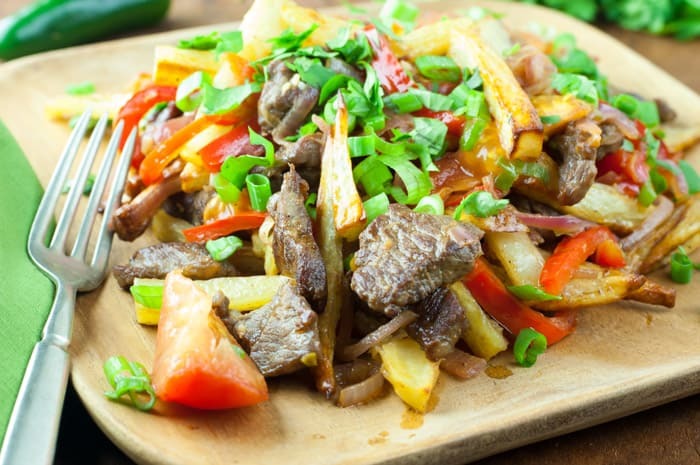 What is Lomo Saltado and How Do I Eat It? With a fork. I kid. I make jokes. I’m lame. 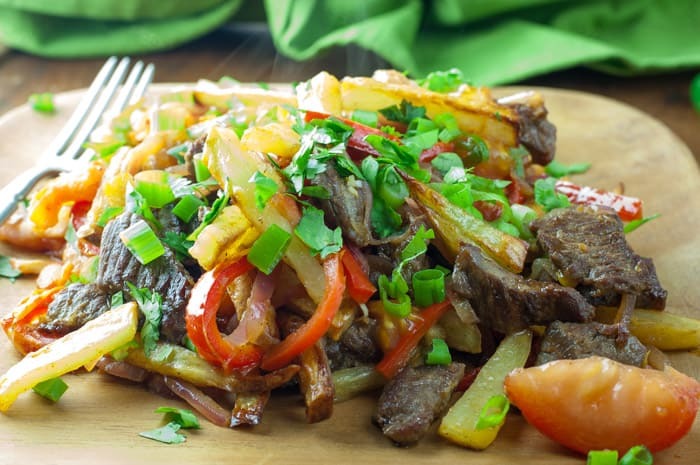 Lomo Saltado is a Peruvian beef stir fry. There are many variations. It can also be made with chicken or pork. It’s got a tangy sauce. 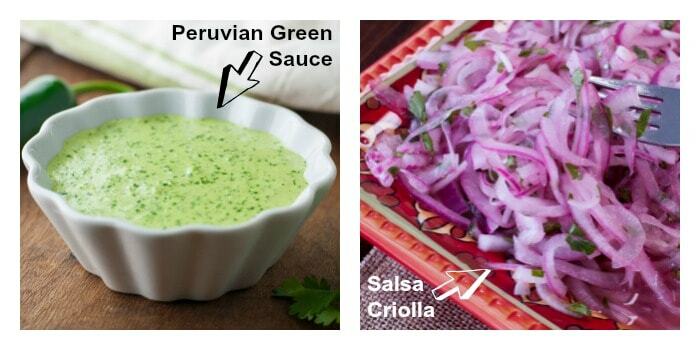 Ooo ooo this one’s good: you can top it with Peruvian Green Sauce (spicy hot Peruvian condiment) and (yes both!) Salsa Criolla (my fave). You can also buy precut stir fry beef. I do admit that cutting up my own sirloin tasted better, but I have used the precut beef and it’s FINE. It’s all good. And another tip: the tomatoes go in at the last minute so they don’t break down and get all mushy, they stay fresh and wonderful and soak up all that vinegary goodness. You’ll be so happy with this recipe, you’ll be dancing in the street. I will be dancing in the street in 3, 2, 1 days and I’ll tell you all about it after I break a hip because I am not 16 anymore I get back. Make sure all ingredients are chopped and sliced before starting. If making french fries from scratch, peel & cut potatoes into desired french fry width (thicker is recommended). Put uncooked fries in a large bowl and toss with a little olive oil & sprinkle with seasoning (I used salt, pepper, garlic salt & Adobo w/pepper, and hot paprika). You can use whatever you want, but don’t be afraid to season them well. Bake fries at 425° on a large baking sheet (use parchment paper so they don’t stick) for 30-40 minutes, flipping the fries half way through the baking process, until golden brown. If using frozen fries, bake according to package directions. In another small dish, mix together Adobo, garlic salt, and granulated onion. Sprinkle and/or rub steak pieces with the seasoned mix. 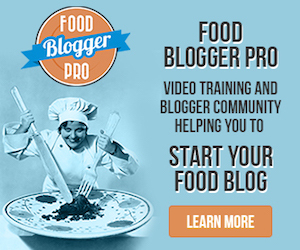 (You can also put beef in a small bowl, sprinkle a little on, stir, sprinkle a little on, stir, etc. until it looks pretty evenly coated.) Set aside. In a large nonstick skillet, heat a couple of tablespoons of vegetable oil over medium-high heat. Once heated, add sliced bell peppers and cook for 3-4 minutes, stirring frequently. Then add sliced onions and season the onions with some salt. Stir into onions into bell peppers and cook until all are tender and flexible (approximately 6-7 more minutes – this depends on the thickness of your slices). Take cooked peppers & onions out of pan and set aside. In the same skillet, heat a few tablespoons of vegetable oil. Once heated add a tablespoon of butter to pan. You can stir-fry the meat all at the same time, but I’ve found it gets more brown & crispy (instead of steamed) if I do it in batches. Lay as many pieces of steak in pan as you can without overcrowding them. Once they are browned on the underside, flip over and cook until your desired doneness. Set those pieces aside. Continue cooking batches of steak until they’re all finished. Set aside. Add your onions and peppers back to the pan. Add tomatoes and cook just a minute or two, stirring occasionally. Don’t overcook. Add in cooked steak. Quickly whisk your sauce you set aside from before and add it to the skillet. Add french fries and stir thoroughly. Stir in green onions and turn off heat. This really sounds good! 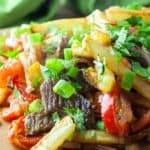 I have been trying to make more stir frys to eliminate some of the “boring” from my cooking and I will definitely try this one. And YES, I really want to hear about this “dancing in the street”. Would you make it with the cilantro? Thirty (!) years ago I h ad a roommate from Peru and he made a dish I loved. I looked up the ingredients and your recipe comes the closest to what my mind remembers. The Hubby is making it tonight!! Whoop whoop!!! !